There are many types of injuries that can result from an accident. Broken bones, burns, and spinal cord injuries can impact your life in many ways but some of the most devastating can be brain injuries. Recent statistics from the Centers for Disease Control and Prevention (CDC) show that each year almost 1.7 million people have a traumatic brain injury (TBI) which causes over 270,000 hospitalizations and 50,000 deaths. A concussion or closed head injury may have a permanent impact on the quality of your life, as well as the lives of your family members. Thankfully, medical science is always progressing and medical care and rehabilitative services can make a positive difference in the lives of many people who suffer brain injuries. That’s why it’s essential to seek help after a brain injury to pursue the just compensation you need for a quick and safe recovery. At the Maurer Law Firm, PLLC, attorney Ira M. Maurer represents victims of all types of head injuries, ranging from Grade 1 concussions to traumatic brain injury. He works tirelessly to help his clients get full compensation for their losses and needed medical care and services. For a free consultation about your case, please call 845-244-8343 today. We proudly serve those who live in Fishkill, Myers Corner, Beacon, LaGrangeville, and nearby areas of Hudson Valley, New York. There are also events that restrict the flow of oxygen to the brain, such as drowning or obstetric malpractice, which can cause brain injury. When preparing a legal case involving a negligent brain injury, it is very important to establish the liability of the responsible party. At the Maurer Law Firm, we have extensive resources including accident investigators and experts in various medical specialties who can aid in this effort. As a trial attorney with more than 30 years of experience, Ira Maurer will work diligently to build a strong and successful case for you. Cerebral concussion: Grade 1 concussion (transient confusion or altered mental state lasting less than 15 minutes with no loss of consciousness), Grade 2 concussion (transient confusion lasting more than 15 minutes with no loss of consciousness), and Grade 3 concussion (brief or prolonged unconsciousness). Cerebral contusion: A bruise to brain tissue caused by physical compression and deceleration. These types of injuries have a marked tendency to expand. Epidural hematoma: Commonly resulting from bleeding in the middle meningeal artery, caused by a skull fracture. The patient can experience alternating lucid and unconscious states. Subdural hematoma: Occurs after a head impact, when a blood vessel on the outer surface of the brain tears, allowing blood to collect between the membranes that surround the brain. Intraventricular hemorrhage: Often accompanies other types of intracranial hemorrhages. Caused by severe head trauma. Diffuse axonal injury: Resulting from a traumatic rotation of the head and indicative of traumatic brain injury. 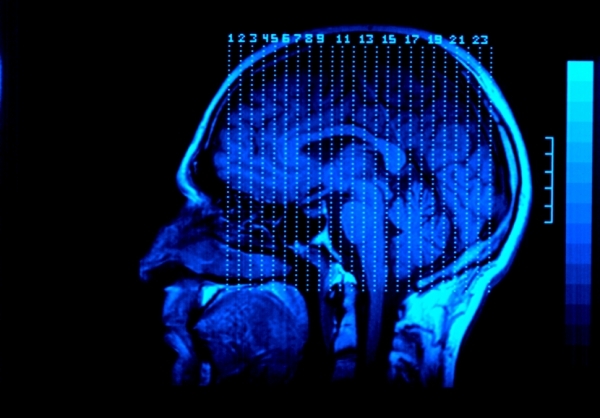 Thirty to 40 percent of people who die from TBI show signs of diffuse axonal injury. The brain is a very complex organ and is the hub of the central nervous system, which sends signals to every other part and function in your body. A head injury can cause a host of symptoms and complications that range from mild to severe. Sometimes these symptoms may not show immediately, making it absolutely necessary to seek medical attention after any impact or injury to your head. Determining the severity of your head injury is critical for your recovery. Both primary and secondary injuries can adversely affect memory, cognitive abilities, and physical functions of the patient. Bedside cognitive testing or tests performed in other settings can provide important information in this regard. Traumatic brain injury (TBI) occurs when a sudden trauma causes damage to the brain. TBI can result when the head suddenly and violently hits an object, or when an object pierces the skull and enters brain tissue. Symptoms of a TBI can be mild, moderate, or severe, depending on the extent of the damage to the brain. Anyone with signs of moderate or severe TBI should receive medical attention as soon as possible. Because little can be done to reverse the initial brain damage caused by trauma, medical personnel try to stabilize an individual with TBI and focus on preventing further injury. Primary concerns include ensuring proper oxygen supply to the brain and the rest of the body, maintaining adequate blood flow, and controlling blood pressure. Imaging tests help in determining the diagnosis and prognosis of a TBI patient. Patients with mild to moderate injuries may receive skull and neck X-rays to check for bone fractures or spinal instability. For moderate to severe cases, the imaging test is a computed axial tomogram (CAT) scan. More serious head injuries may result in an unresponsive state in which an individual is totally unconscious, unresponsive, unaware, and unable to be roused. At our firm, we work with brain specialists to determine the extent of brain damage and the medical care and service the injured individual will need. This is especially important in closed head injury cases, because the effects of an impact to the head may only reveal themselves over time. For this reason, you should not rush to accept an insurance settlement before sufficient time has passed and the victim has been thoroughly examined by one or more specialists. Brain injuries and the severe effects that may result from them may require the victim to need expensive medical treatment along with on-going rehabilitation and therapy. At the Maurer Law Firm, Ira Maurer will build a comprehensive case designed to obtain the resources you need to rebuild your life. Our firm will pursue full compensation for all losses and seek the best possible result for you. If you have suffered a catastrophic brain injury because of someone else's negligence, please call the Maurer Law Firm at 845-244-8343 to schedule a free consultation with our experienced personal injury lawyer. We serve clients in Fishkill, Myers Corner, Beacon, LaGrangeville, and nearby areas of Hudson Valley, New York.